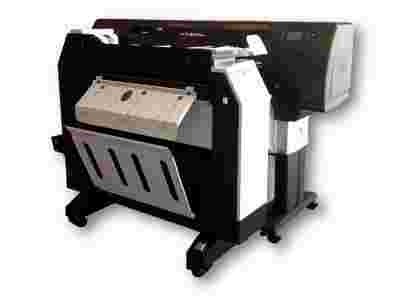 The GERA Butterfly Extra paper fold machine is part of the system with the printer HP Designjet T7100 , scanner SD36 and the software Reprocontrol. 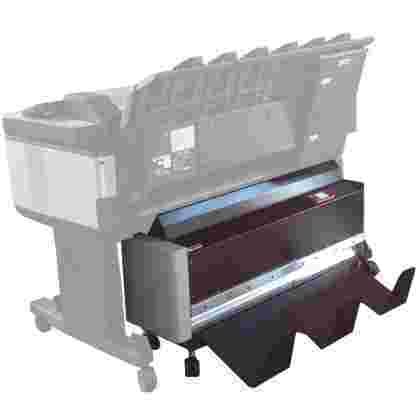 The GERA Butterfly EXTRA II introduce patent technology able to synchronise folder speed to the variable print speed and able to dry instantly ink drops before the fold process; these weakness on other solutions are source of jam and frequent error. The Ladybird II wide format folder thanks its innovative design does not add space to printer footprint and defines a new benchmark for the engineering drawing folder. 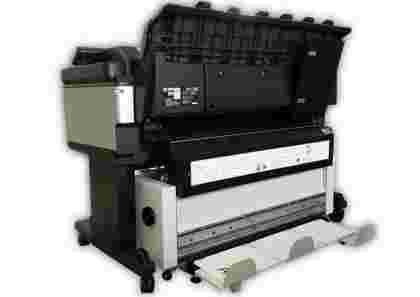 The folder allows to lower the costs significantly by eliminating the laborious and costly finishing operations as manual trimming and folding, with a simple click you will have your copy ready for distribution fulfilling the work peaks.